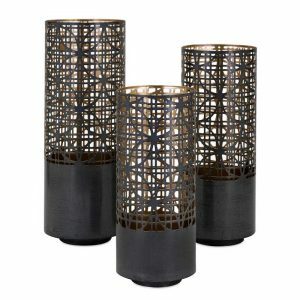 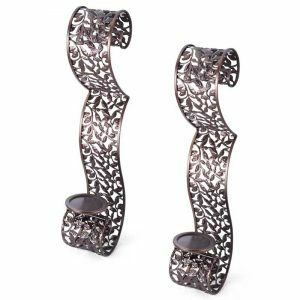 Metal Candle Holder Set of 3 (12 inches x 10 inches x 6 inches H) - VGGIFT | is a very good gift Supplier. Bring a bronzed look to your mantle or dining room table with this set of three iron candle holders. 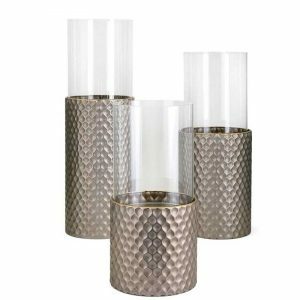 Bring a bronzed look to your mantle or dining room table with this set of three iron candle holders. 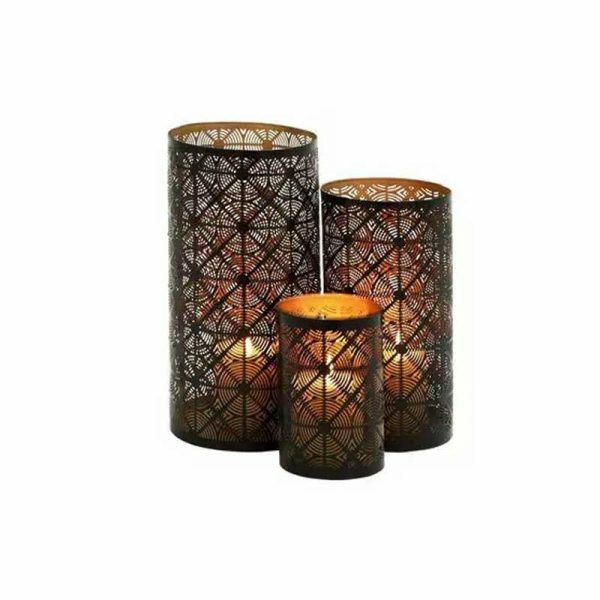 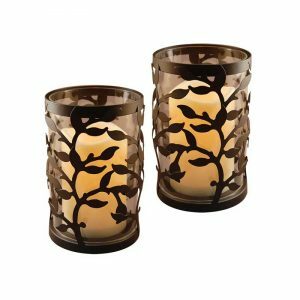 This rustic set features bronze brass and an oil-rubbed finish that are accented by the soft glow of your candles.